Photograph: Gene Schiavone Isabella Boylston and Roddy Doble in Le Corsaire. Catch one of the world’s best dance companies as it pulls from its vast repertoire of all of the classic full-length 19th century ballets, as well as commissioned works by the 20th century’s choreographic greats. On opening night see a mixed repertoire performance (Apollo, Chamber Symphony and Symphony in C) to highlight its impressive roster of international ballet stars. 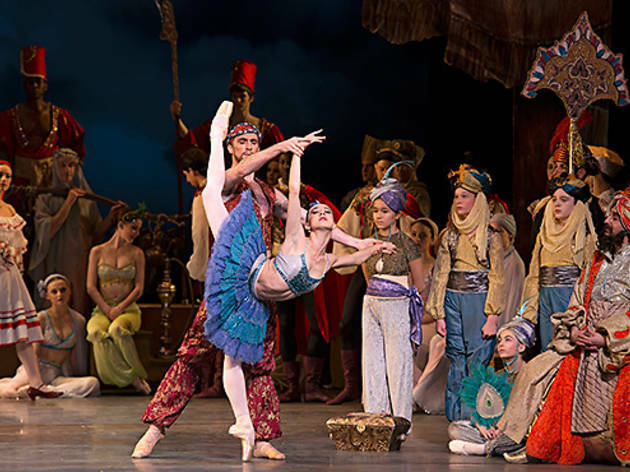 The rest of the weekend the troupe will be performing Le Corsaire—a Russian work from 1856, which will feature a new production design for the swashbuckling action story.